YESTERDAY, THE STAR newspaper carried an article titled “Calling old girls of Pudu English School” (link), an attempt to reach out to its former students to celebrate the school’s centennial anniversary next year. Alas, I am one of the “old girls”… old in every sense of the word. However, in this case, “old” is a cause for celebration, especially when our beloved “purple school” is turning 100 next year! 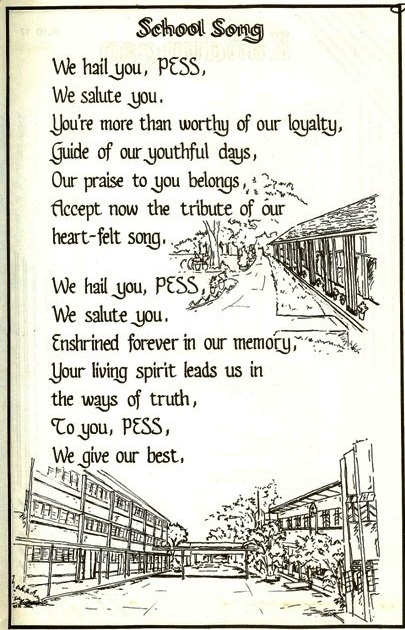 PESS was a part of my life (as was The Star). I posted “The Best of PESS” (link) in November last year. 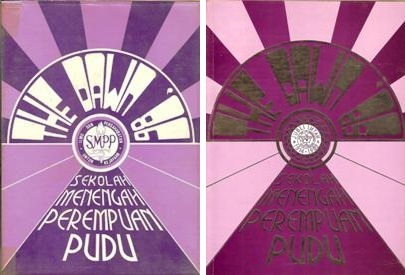 The school yearbooks of ’86 and ’89 (when it celebrated its Diamond Jubilee). The school song during my time which was changed in 1989 in conjunction with its Diamond Jubilee. This entry was posted in Forever Friends, School Days and tagged Friends, Home, PESS, School. Bookmark the permalink. Hi, I’m Nur from victoria institution studying form 6. I was also ex student of PESS since 2010. Curently, I’m doing an assignment about sports at PESS before 2000. I found your blog so I would be honoured if you left by your email, so I can ask a few questions.